“Stacy, everyone loved it! The kids could not have been more thrilled to see a huge minion. Thank you for such a beautiful cake that truly made Fabian's party extra special. PS. everyone wanted a banana!" 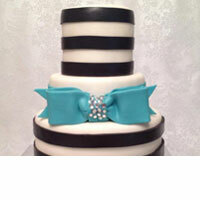 Custom cakes from simple celebrations to elaborate weddings. Minimum order of 20 servings. 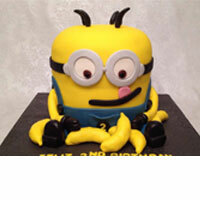 Cupcakes are ordered as stand alone items or to coordinate with a current cake order. Cake Pops are great for parties or gifts. They can be packaged as a display or individually wrapped. Push pops are a fun novelty for parties of any kind. Bring something new to your party! I’ve been designing cakes since 2010. I started making fun cakes for my family then expanded to friends and ultimately decided to open my own home based cottage bakery. 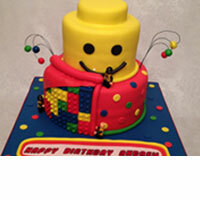 We can work together to design your perfect cake using the recipient’s personality, hobbies and interests, or party décor. We can build on a favorite color or pattern. The options are endless! 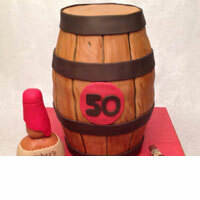 Since no client is the same, I believe your cake should be unique as well. Designing the cake is half of the fun!